Banffshire & Buchan Coast SNP candidate Stewart Stevenson has congratulated Fraserburgh Academy for gaining first place in the North-east heats of the 2016 Global Rock Challenge. Mr Stevenson is a strong supporter of the Global Rock Challenge and even picked up his own – unexpected – award at the 2003 event for his help in securing funding to allow the event to continue. 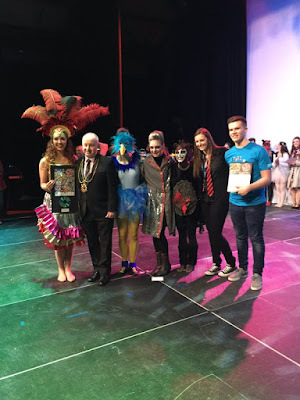 “I was delighted to be invited to attend the Aberdeen heat this year and I was even more pleased that Fraserburgh Academy emerged triumphant at the end of the night and brought first place home to Banffshire & Buchan Coast. “The performance by the Fraserburgh pupils was truly spectacular, highly professional and deserving of their first place." Peterhead Academy also performed at the Global Rock event and demonstrated why they have been so successful over the years. 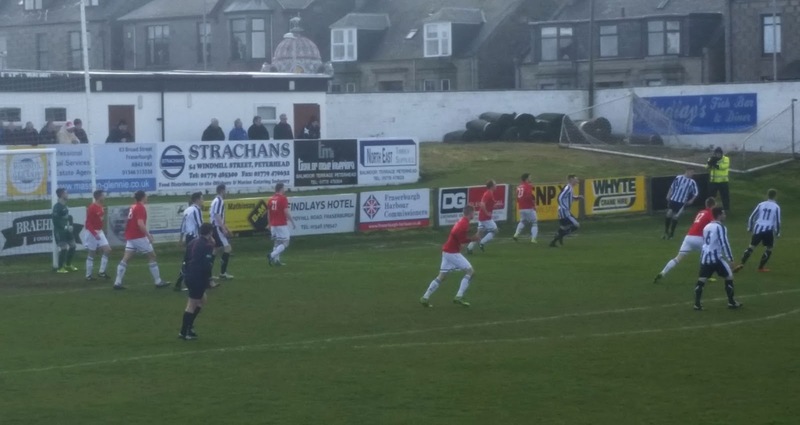 "Peterhead are now a Northern Premier Division school who go straight to the finals. This year's demonstration by the Academy showed by they will clearly be a very strong contender in the next round of this competition. "I wish both our schools all the best and will be watching their progress with interest." The Global Rock Challenge is for the students and their teachers to create and be involved in their own production from conceptualisation through to the live performance. The challenge is also to be the best that they can without the use of nicotine, alcohol or other drugs, and there are severe penalties for anyone who fails that challenge on any event day and for their team too. Feedback / research indicates that the concept works, with young people clamouring to return year after year to take part, with improved relationships with teachers at school, with a reduction - or even cessation - of substance abuse by team members and with a lower incidence of substance abuse generally within participating schools. Attendance rates are also boosted, as are staying-on rates into sixth year. The Rock Challenge® communicates health and social education messages in a positive and supportive environment. Banffshire & Buchan Coast SNP candidate Stewart Stevenson officially opened the new bowling season at Peterhead Bowling Club yesterday (Saturday). Mr Stevenson was invited to deliver the first jack of the season by the club and was introduced by Club President Mr Ian Brownlee. The club has recently had improvement works carried out to its green thanks to grant assistance from the SITA Trust. Mr Stevenson also revealed his own connection to international bowls in the form of his great uncle, who played in a Scotland international match versus England at Crystal palace in 1903. “I was quite pleased with my jack delivery but sadly the first bowl didn’t quite live up to the standards of my illustrious ancestor! 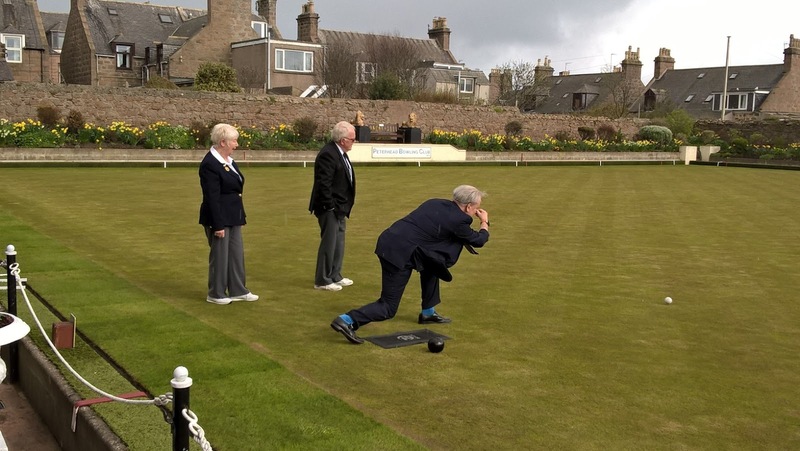 “It was a pleasure to be invited along to Peterhead Bowling Club to do the honours and to meet the members there. The members seemed very pleased with the work carried out on the green and it is important that we highlight the support from the SITA Trust to this and other community groups. SNP Candidate for Banffshire and Buchan Coast Stewart Stevenson has welcomed SNP manifesto commitments to major investment in NHS services in the North-east with one of five new elective and diagnostic treatment centres based in Aberdeen and a key role for the city in the new major trauma network. A re-elected SNP Scottish Government will invest £200 million in five new NHS treatment centres based on the successful Golden Jubilee Hospital approach. This will ensure that the NHS can cope with increased demand for routine procedures like cataract operations and hip and knee replacements. An SNP Government will also create a major trauma network to reflect Scotland’s unique geography, including utilising sites in Aberdeen. "The SNP manifesto couldn't be clearer, we're going to deliver a major trauma network that reflects the unique geography of Scotland, and Aberdeen is going to play a vital part in that. “Our major trauma network will build on the expertise in Aberdeen, Dundee, Glasgow, and Edinburgh - building on, not removing anything from, these sites. "We've tasked clinicians, including from ARI, to help shape the final model. A key part of the new trauma network will be how the emergency retrieval system for a major trauma network should operate to ensure people in the terrible circumstances that leads to major trauma, gets the best care as quickly as is possible." Banffshire & Buchan Coast SNP candidate Stewart Stevenson joined Broch SNP councillor Charles Buchan at Bellslea Park on Saturday to cheer on Fraserburgh FC at their last league home game of the season. 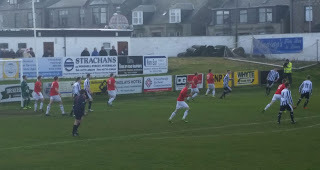 The Broch were hosting Wick Academy FC, who won their first senior trophy earlier in the season. “Despite the result, I had a great afternoon at Bellslea and I’m grateful to Club Chairman Finlay Noble for his hospitality on the day. 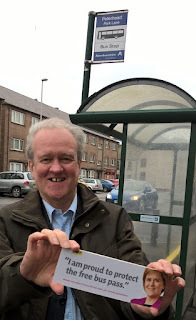 SNP candidate for Banffshire & Buchan Coast Stewart Stevenson has said the initial report of the Strategic Transport Study of the Fraserburgh/Peterhead to Aberdeen Corridor is a further step towards road improvements and a rail service for Buchan. The report will be considered at a meeting of NESTRANS, the North-east Regional Transport Partnership, who have responsibility for bringing forward strategic regional transport projects. The study is a result of proposals by Aberdeenshire SNP councillors which received cross-party backing. “This report is a further step towards improving the infrastructure of the North-east. With the dualling of the A90 at Balmedie-Tipperty and the Aberdeen Western Peripheral Route moving on at a pace, now is the time to produce a plan for road, rail and public transport serving the corridor from Buchan into Aberdeen. “This report is particularly useful because it looks at a range of options. I don’t want us to be focussing purely on rail or purely on road because the reality is that a mix of solutions will provide us with the best outcome. “For example, there is strong backing in the report from the public for a rail link, while business understandably wishes to see road improvements as they are concerned with transporting freight by road. This needs not to become a “road versus rail” debate because there is no reason why Buchan should not benefit from both, just like in other areas of the country. “Investment in our transport infrastructure – road and rail – is vital if we are to achieve the twin goals of improved connectivity to the rest of the country and also making our area more attractive for the people we need to attract to fill key vacancies in teaching and medicine. Banffshire & Buchan Coast SNP candidate Stewart Stevenson has set out the SNP’s commitments to Scotland’s older people, including boosting their incomes; improving health and social care; and tackling isolation. Protect social benefits such as the concessionary bus pass and free personal care. Protect low income pensioners from Council Tax reforms and Labour’s basic rate Income Tax hike. Use new powers over the Winter Fuel Allowance to pay it earlier to the almost 80,000 pensioner households in rural areas who live ‘off-grid’ and face higher costs. Provide resources for a new programme of financial health check-ups aimed at those on low incomes to further maximise older people's incomes. Guarantee the NHS with real-terms spending increases every year of the next Parliament; increase the share of this budget directed at primary care, social care and mental health; and invest £200 million in elective treatment centres to ensure faster, better care for planned operations such as hip and knee replacements and cataract procedures. We will review family law to ensure the interests of children in maintaining relationships with key family members, particularly grandparents. As well as protecting key social benefits that ensure older people can live independent, healthy and fulfilling lives, a re-elected SNP Scottish Government will also continue to fund projects that tackle loneliness and isolation through a dedicated fund. “As a society we owe an enormous debt of gratitude to our older people, who have not only worked hard and contributed to our economy but continue to make a valuable contribution to our families and communities, which is why the SNP has already done a lot for senior citizens. “And if the SNP is re-elected to form the next Scottish Government will make sure that their needs are at the forefront of the next Parliament so that we deliver an even better, fairer deal for all our older people. “We’ll also ensure that low income pensioners are excluded from council tax reform and protect them from Labour’s plans to hike the basic rate of income tax, which would hit the pockets of half a million older people in Scotland. “Not only will we protect older people's incomes but we will also seek to maximise them through providing financial health checks for low-income households. “Raising the income and independence of older people will also be key to our work tackling social isolation, as will our plans to review family law to ensure, as far as possible, that grandparents’ rights are considered and that they can retain the contact with their grandchildren that is sometimes denied to them. Ahead of the publication of the Conservative manifesto, which will call for the reintroduction of prescription charges and a tax on education, new analysis from the SNP has found that the Tory tuition tax would be the equivalent of a 4p rise in income tax for a graduate on the average salary. This would raise their annual tax bill by £700. 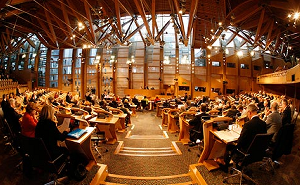 Ms Davidson was the only party leader to miss the National Union of Students hustings ahead of the Holyrood elections. Her stand-in – Glasgow Tory candidate Adam Tomkins – informed the student audience that education was not a right and that they should face a £6,000 bill for the privilege. “The Tories have been exposed in this election as being the party of stealth taxes - who will turn back the clock in Scotland by reintroducing taxes on ill health and on education. “Ruth Davidson has been reluctant to give any detail about how much young people will actually be forced to pay for the education – and no wonder, given that a graduate on the average full-time salary would be paying 4p more in tax on every pound they earn. “Education is a right, and access to university should be based on your ability to learn not your ability to pay – the language used by the Tory candidate in the NUS debate will do Ruth Davidson no favours. Banffshire & Buchan Coast SNP candidate Stewart Stevenson has welcomed the pledge from Nicola Sturgeon to unlock the economic potential of Scotland’s rural communities. The SNP Leader announced that, if re-elected, an SNP Government will establish a £5 million fund to promote island and regional food brands. The funding will be used to overcome any barriers to growth that rural food producers may face, as well as exploring new markets for their produce at home and abroad. Meanwhile, Mr Stevenson described the devolution of marine Crown Estate revenues to Scotland’s coastal and island communities as “a welcome, long-overdue move” which the SNP had long advocated. Under SNP plans, when Crown Estate management is devolved to Scotland, communities will get to keep 100% of net marine revenues from along their coasts and have greater say in the management of those marine resources. “Since the SNP went into government we’ve seen a huge increase in the success of the food and drink sector. Food and drink exports have increased by 43% and we have increased sales of Scottish food and drink brands by 36%. “Our Community Food Fund is helping to promote food tourism, farmers’ markets and food festivals, and we’ve increased the number of protected food names. 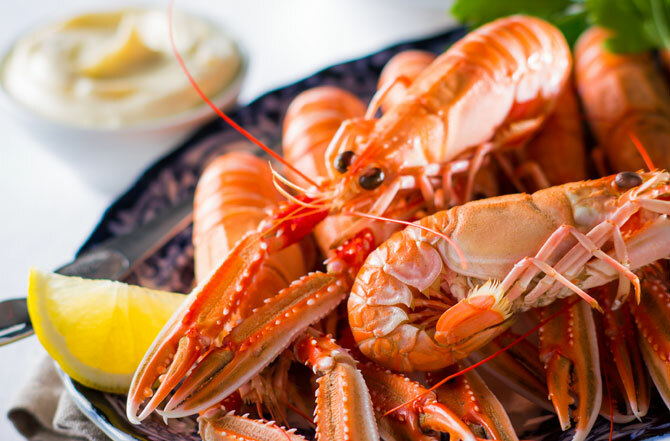 “Of course, this success is testament to the first class quality of the produce for which Scotland – and the North-east in particular- is famous. I therefore very much welcome the pledge from the First Minister that, if re-elected, an SNP Government will build further on that success by setting up a £5 million fund to promote island and regional food and drink brands at home and around the world. "It is important that we increase marketing opportunities for our rural food and drink brands, explore new export opportunities and provide investment. “A re-elected SNP Government will also put the new powers coming to the Scottish Parliament to full effect - our plans to ensure local communities benefit fully from Crown Estate revenues is a welcome, long-overdue move which the SNP has long advocated. SNP candidate for Banffshire & Buchan Coast Stewart Stevenson and SNP candidate for Aberdeenshire East Gillian Martin have re-affirmed the party’s commitment to free education as Tory plans to tax students £6000 for a degree were exposed. Analysis of the Tories’ plans to hit students with a tuition tax shows that the plan would raise next to nothing in the next Parliament, but risks putting students off going to university and would end the principle of free education. The analysis shows that instead of raising £100m over the Parliament as the Tories originally claimed, it could bring in as little as £200,000. A re-elected SNP Government will continue to protect free higher education. “This scheme is less about funding universities and colleges and more about the Tories’ ideological obsession with introducing fees. “Since the old back-door fees were abolished, the number of graduates from poorer backgrounds has risen by almost a third. That would be at serious risk if the Tories had their way. 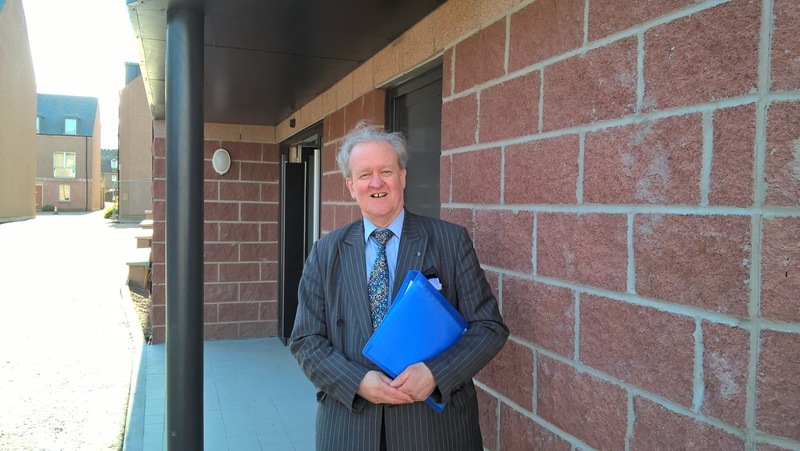 SNP candidate for Banffshire & Buchan Coast Stewart Stevenson has paid a visit to the newly-built Craigewan Court development in Peterhead. Craigewan Court is a purpose built, extra care needs development with 10 self-contained one bedroom flats, staff accommodation and office space, communal areas and an activity room. The facility was built with funding from Aberdeenshire Council and the Scottish Government. “I was pleased to be able to visit Craigewan Court and see the very high standard of accommodation for myself and meet some of the staff involved. 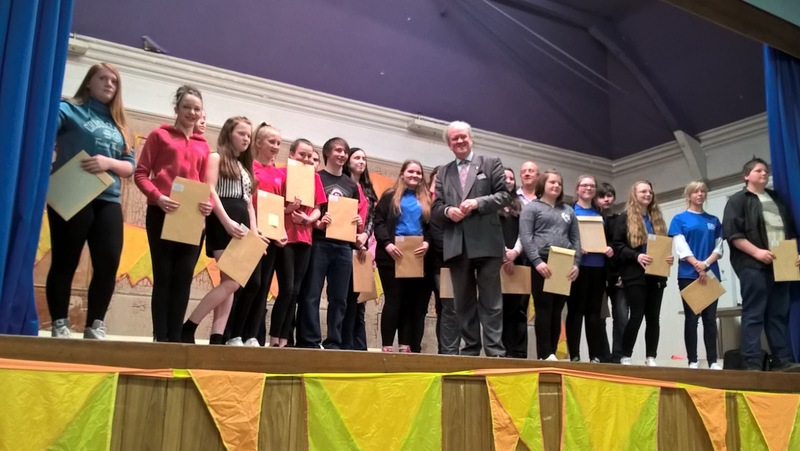 SNP candidate for Banffshire & Buchan Coast Stewart Stevenson has commended the young people involved in Circo Modo. Mr Stevenson was speaking at last night’s awards ceremony at Peterhead’s Rescue Hall where he presented the Saltire Awards to some of the young performers. Modo Matters to celebrate the awards, achievements and accreditations of our participants and volunteers. In recognition of the achievements of Modo's participants and volunteers, over 200 Saltire Awards, Dynamic Youth Awards, Youth Achievement Awards and Young Aberdeenshire Volunteer Awards were presented. “Circo Modo, under the leadership of Martin Danziger and his team, have done sterling work in the community and given a whole range of opportunities to young people who may not otherwise have had the chance to develop some of the skills they now have. “Listening to some of the performers relate their story on stage, it was striking how many of these young people have been given confidence by their involvement in Modo which they simply didn’t have before.